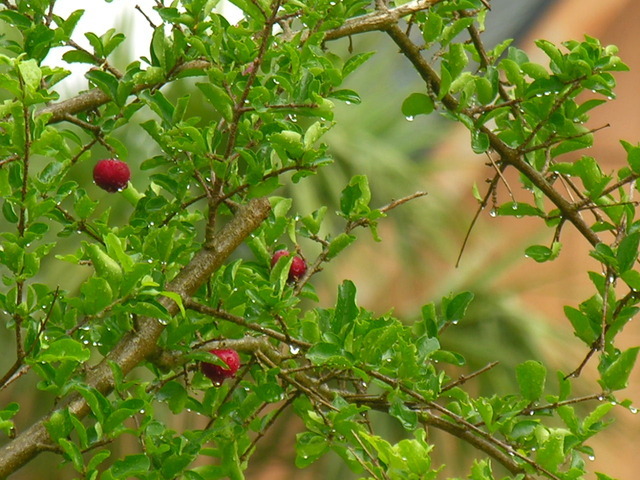 The fruit of a small tree originally from South and Central America. 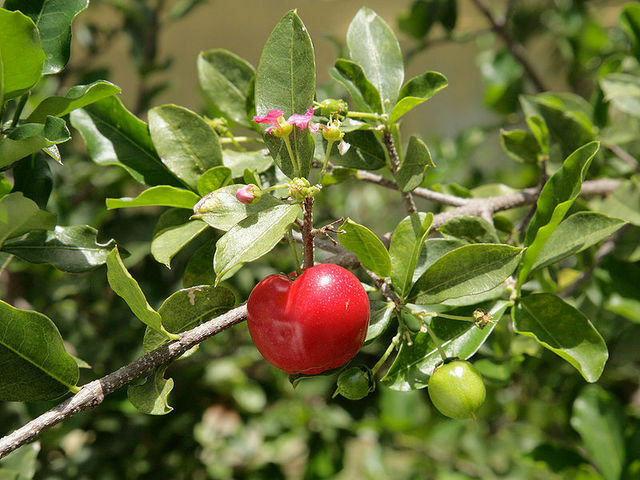 The fruit are green when immature, and turn yellow/red to bright red when mature. 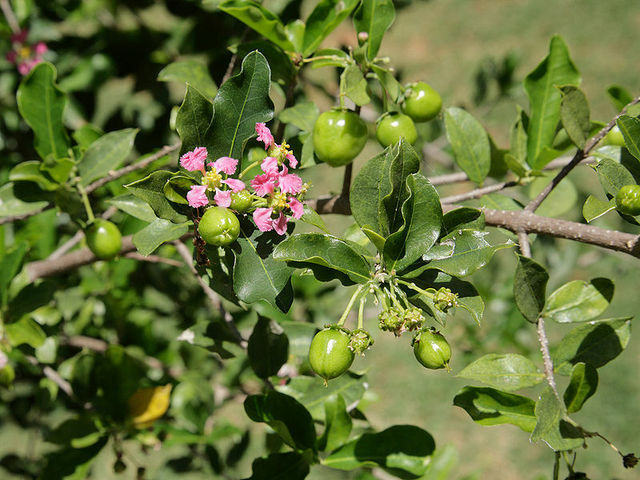 The fruit has a tart, sweet flavour and is often eaten raw or used to make drinks. 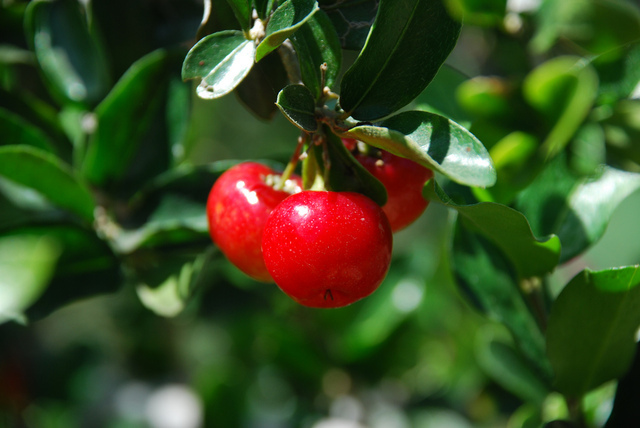 I know it as Garden Cherry. 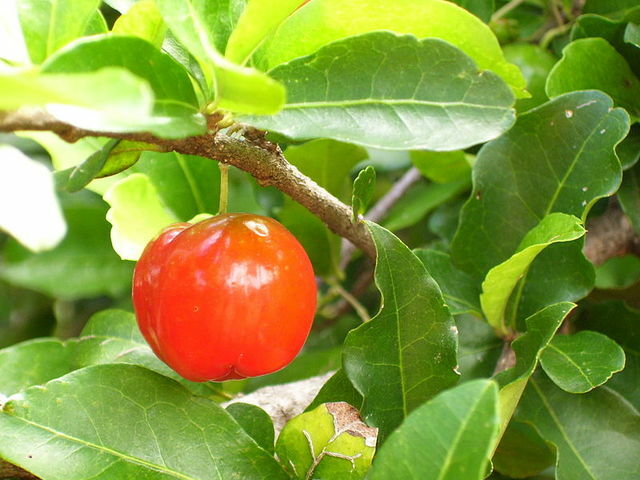 In St. Maarten we call this cherry also.